Travelling around the Hook Peninsula recently, between Hook Head and New Ross, two of us stopped briefly to look at Loftus Hall, perhaps the largest country house in this part of south Co Wexford. Loftus Hall is known for many myths and legends, including ghost stories and hauntings. But it is also an important part of the architectural heritage and historical legacy of Co Wexford. The house stands on the original site of Redmond Hall, first built by the Redmond family ca 1350, at the time of Black Death, on the site of an earlier castle. The family traces its line back to Raymond le Gros, who landed at Baginbun, south of Fethard-on-Sea on the Hook Peninsula, on 1 May 1170. Alexander Redmond or FitzRedmond was granted the Hook area in the first wave of the Anglo-Norman settlements. His descendants, Robert and Walter Redmond, built the castellated mansion known as Redmond’s Hall in the early 14th century. During the civil and confederate wars of the mid-17th century, Redmond Hall was attacked in 1642 by English soldiers loyal to Charles I.
Alexander Redmond, who was 68 at the time, barricaded the Hall and prepared to defend it. He was assisted by his sons, Robert and Michael, some of their tenants, two men at arms and an itinerant tailor who was working in the Hall at the time. The defenders were only 10 in number, armed simply with long-barrelled fowling pieces. In the lengthy battle that ensued, Captain Aston realised his cannon were too small to have any impact on the main door. To add to his woes, half his men abandoned him as they pillaged the countryside. As the battle dragged on, a heavy mist from the sea enveloped the Hook Peninsula. When the Irish Confederates at Shielbaggan heard of the attack, they marched to the Hall and surprised the attackers under cover of the fog. About 30 English soldiers escaped to their boats and back to the fort. But Captain Aston was among those who were killed. Many others were taken prisoner, and several were hanged at Ballyhack and New Ross, including one of the Esmonde brothers. The Redmond family pedigree, registered in 1763, claims Alexander Redmond also defended the Hall against one or even two attacks by Cromwellian forces in 1649. There is a tradition that the defenders used sacks of wool to block up breaches in the walls created by cannon fire. These woolsacks and a representation of the Hall are depicted on the coat of arms confirmed to the Redmond family in 1763. It is said that Alexander Redmond negotiated favourable terms with Cromwell and died in the Hall in 1650 or 1651. But the surviving family members were evicted and held onto only one-third of their original estates in Co Wexford. The Hall and most of the Redmond estates on the Hook Peninsula were later bought by Nicholas Loftus from ‘several adventurers and soldiers.’ The Loftus family was descended from Adam Loftus (1533-1605) of Rathfarnham Castle, Archbishop of Armagh (1562-1567), Archbishop of Dublin (1567-1605), Lord Chancellor of Ireland (1573-1576, 1581-1605) and first Provost of Trinity College Dublin (1592-1594). Adam Loftus had 20 children, and his eldest son, Sir Dudley Loftus, was granted lands around Kilcloggan in south Wexford in 1590. His son, Nicholas Loftus acquired the Manor of Fethard-on-Sea in 1634 and Fethard Castle became the family residence. His son, Henry Loftus, moved from Dungulph Castle to the Hall in 1666, when it became the principal residence of the Loftus family. The Redmond family disputed the claims of the Loftus family in court but without success. They were compensated in 1684 with lands in Ballaghkeene in north Co Wexford. Some of their descendants joined the Wild Geese in France and other European armies, others were involved in banking and politics. One branch of the family became a prominent political dynasty in Co Wexford in the 19th and 20th centuries, including John Redmond, who led the Irish Party until he died in 1918. To establish the new name of his house, Henry Loftus placed an inscription in stone on the entrance piers: ‘Henry Loftus of Loftus Hall Esq 1680.’ He carried out extensive repairs to the Hall in 1684. The Loftus family rose in the peerage over the following centuries, receiving the titles of Baron Loftus of Loftus Hall (1751), Viscount Loftus of Ely (1756), Earl of Ely (1766, and again in 1771). But the male line of the family and titles died out in 1783. Loftus Hall was inherited by the last earl’s nephew, Sir Charles Tottenham (1738-1806), MP for Fethard-on-Sea (1776-1783) and then for Wexford Town (1783-1785). His father, Sir John Tottenham, had married the Hon Elizabeth Loftus in 1736. She was the daughter of Nicolas Loftus (1687-1763), and her two brothers, Nicholas Hume-Loftus (1708-1766) and Henry Loftus (1709-1783) had no male heirs to inherit their titles of Earl of Ely and their vast estates, including Loftus Hall and Rathfarnham Castle. On inheriting Loftus Hall, he changed his name to Charles Tottenham Loftus, and in time received the titles of Baron Loftus of Loftus Hall (1785), Viscount Loftus (1789), Earl of Ely (1794) and finally, with the passage of the Act of Union, Marquess of Ely (1800). His descendant, John Henry Wellington Graham Loftus (1849-1889), inherited Loftus Hall and the family titles as 4th Marquess of Ely in 1857 when he was only an eight-year-old. He was still in his 20s when he rebuilt Loftus Hall in 1872-1879, under the direction of his mother, Jane (Hope-Vere) Loftus (1821-1890), Dowager Marchioness of Ely and a Lady of the Bedchamber to Queen Victoria. Lord Ely extensively rebuilt the entire house, adding many ornamental details such as the grand staircase, mosaic tiled floor, elaborate parquet flooring and technical elements not seen in Irish houses before, including flushing toilets and blown-air heating. He was inspired by many of the details at Osborne House, Queen Victoria’s summer residence on the Isle of Wight. Its deliberate alignment maximises the panoramic vistas overlooking across Waterford Harbour and Saint George's Channel. Loftus Hall stands on 70 acres of land and includes five reception rooms and 22 bedrooms. It is a three-storey house with a nine-bay front and without a basement. The symmetrical frontage is centred on the pillared porch, and the house has a balustraded parapet that hides the roof. One of the most-admired features of the house is the magnificent hand-carved oak staircase. Other examples of fine Victorian craftsmanship include encaustic tiled floors, timber panelled doors, marble Classical-style chimneypieces, a ceiling with a stained-glass lantern and an Acanthus ceiling rose, decorative plasterwork, a bow-ended reception room and a chapel. The diminishing scale of the windows on each floor produce a graduated visual impression. The decorative plasterwork is the work of James Hogan and Sons of Dublin. It has been said the stucco details might have been designed to resemble a grand hotel. The adjacent coach house and stable outbuilding, the walled garden and a nearby gate lodge enhance the setting. Loftus Hall was built in the expectation of a visit by Queen Victoria. But perhaps the proposed visit was all in imagination of the Dowager Marchioness: the Queen never visited Loftus Hall, and young Lord Ely was weighed down by unbearable debts. He died at the age of 39 without children, having crippled the estate financially with his grand building scheme aimed at boosting his social standing in the aristocracy but probably hiding a sense of insecurity and a desire for acceptance. The impoverished estate passed with the family titles to his distant cousin, John Henry Loftus (1851-1925), the son of a Church of Ireland priest. But the estate was in such a poor financial state that the new Lord Ely eventually decided to sell Loftus Hall. Loftus Hall was bought in 1917 by a Benedictine order of nuns, who lived there for 18 years. It was then bought in 1935 by the Sisters of Providence, who ran a school for girls interested in joining the order until the early 1980s. When the convent closed, Loftus Hall was bought in 1983 by Michael Devereux who reopened it as Loftus Hall Hotel. But it closed again in the late 1990s. It remained in the hands of the Devereux family until late 2008, when it was sold to an unnamed buyer. There were rumours it had been bought by Bono of U2, but it had been bought by the Quigley family from Bannow, Co Wexford. In recent years, the hall has been turned into a tourist attraction with guided tours and seasonal events. The five acres of walled gardens at Loftus Hall have undergone a major restoration Spring 2016. From the overgrown tangle that had not been cared for in many years, a beautiful space has emerged to be explored and enjoyed. 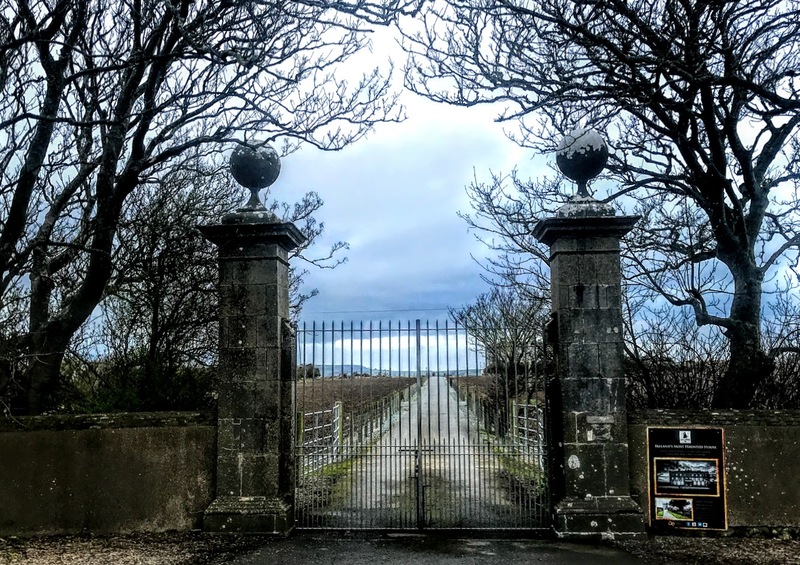 To this day, fact and fiction are so closely entwined in the history of Loftus Hall that it is difficult to determine where history ends and legends and fiction begin. 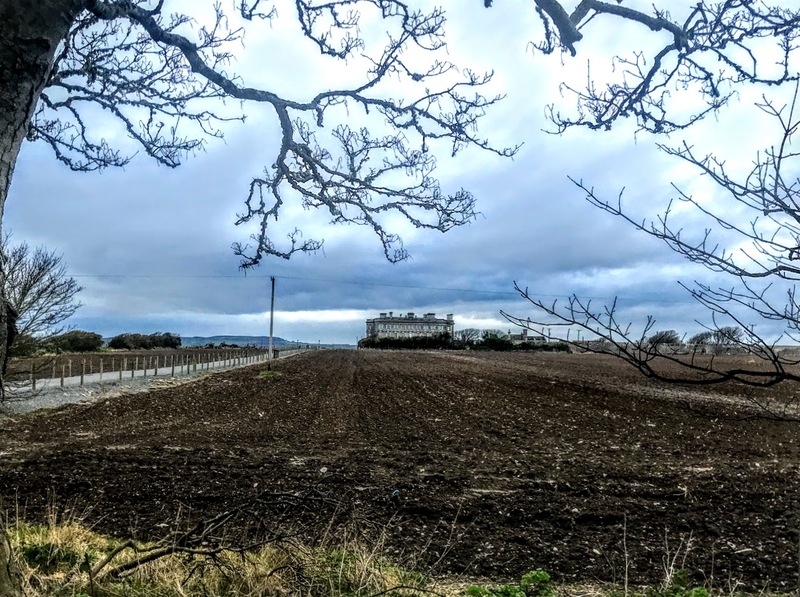 Loftus Hall is the subject of two apocryphal legends. 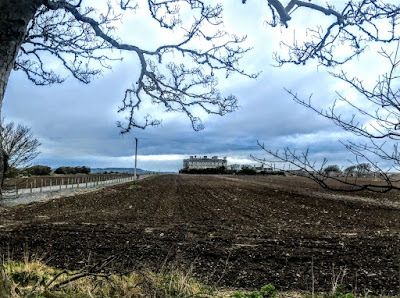 The first is the famous ‘Legend of Loftus Hall’ and the second is the story that the house was built in the expectation of a royal visit by Queen Victoria that may have been planned only in the mind of the Dowager Marchioness. It is said that Sir Charles Tottenham was at Loftus Hall in 1775 with his wife and daughter Anne. 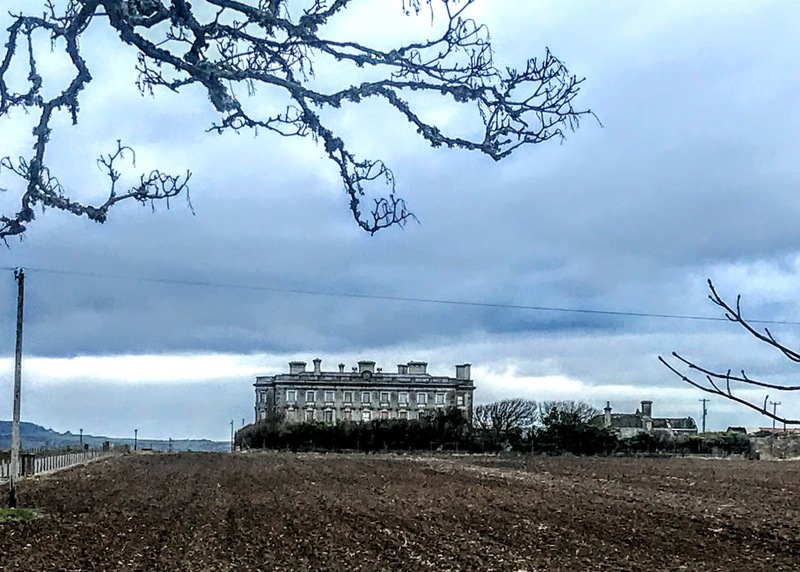 During a storm, a ship unexpectedly arrived at the Hook Peninsula, and a young man was welcomed at the doors of Loftus Hall. One night, the family and the visitor were playing cards. In the game, each player received three cards, but Anne was only dealt two cards by the mystery man. A butler at the table was just about to question the man when Anne bent down to pick up the card she thought she may have dropped. As she bent beneath the table, she saw the mysterious man had a cloven foot. As Anne stood up and challenged him, he went up through the roof, leaving behind a large hole in the ceiling. Soon Anne became ill, and the family was ashamed of her. She was locked away in the Tapestry Room, where she refused food and drink, and sat with her knees under her chin, looking out across the sea towards Dunmore East, waiting for the mysterious stranger to return. She died in the Tapestry Room in 1775. It is said that when she died, they could not straighten her body, and she was buried in the sitting position in which she had died. It was said that the hole in the ceiling could never be repaired properly, and that to this day there is still a part of the ceiling that is slightly different from the rest. And banished the Devil from Loftus Hall. But if this exorcism – if it ever took place – ever worked, it did not end the ghost stories. The ghost of a young woman, said to be Anne Tottenham, is said to return to Loftus Hall frequently. However, there are main details in the story that are difficult to reconcile with historical details and facts. Firstly, Canon Broaders died on 17 January 1773, two years before the supposed date of the story of Anne Tottenham and the card game. Secondly, Charles Tottenham did not inherit Loftus Hall until 1785, ten years after these supposed events. He probably lived before that at either Tottenham Green, near Taghmon, or at Delare House, the Tottenham family townhouse in New Ross. Thirdly, the first account of those events was published in The Whitehall Review on 28 September 1882 – over 100 years after they are said to have taken place. Fourthly, the damaged ceiling could hardly have survived: the 17th century Loftus Hall was levelled in 1871 and the present house was built in its place in the 1870s. 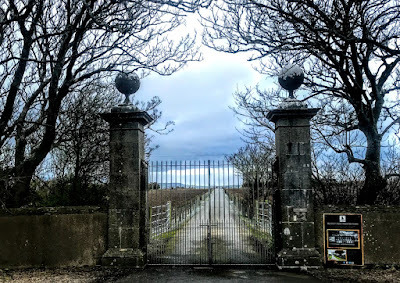 Fifthly, there is a similar tradition in Taghmon that the whole affair took place at Tottenham Green, then the Tottenham family home, and not at Loftus Hall. Indeed, some people believe these stories were told to keep local people away while Lord Ely was waiting for Queen Victoria to call – an anticipated visit that never materialised, if it was ever planned. Today, the family titles are held by (Charles) John Tottenham, a former prep school teacher in Alberta Canada, who succeeded in 2006 as 9th Marquess of Ely, 9th Earl of Ely, 9th Viscount Loftus, and 9th Baron Loftus. His sister, Ann Elizabeth Tottenham, is a retired suffragan bishop in the Diocese of Toronto and the second woman to be elected a bishop in the Anglican Church of Canada. Their father, Charles John Tottenham (1913-2006), 8th Marquess of Ely, emigrated to Ontario. Loftus Hall reopens to public next month, on 13 April 2019. 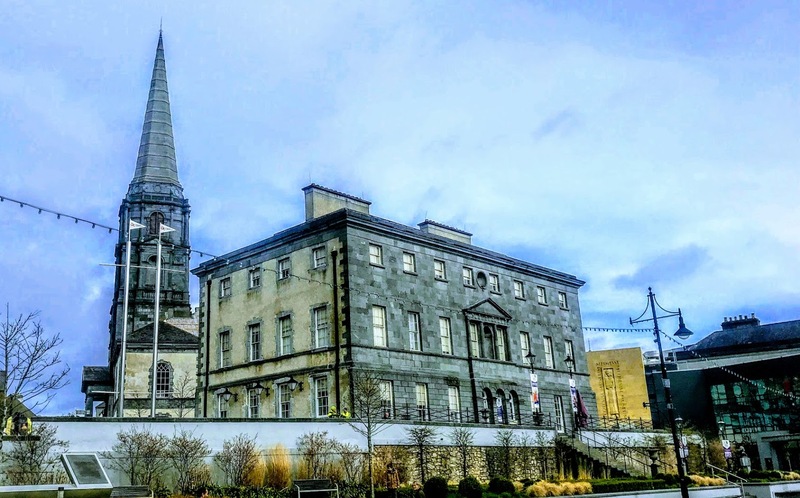 A Redmond Clan gathering is planned for Loftus Hall on 1-3 May, with a special reception at the Bishop’s Palace, Waterford, to honour the memory of John Redmond, leader of the Home Rule Party.